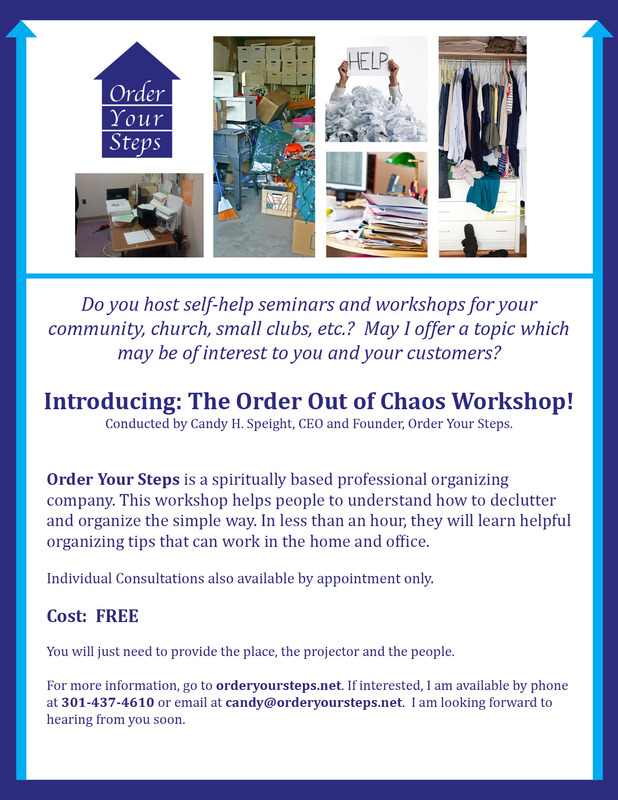 Sorry for the lateness of my post, but I just wanted to take a moment to let you know that tomorrow I will be conducting my first “Order Out of Chaos” Workshop for Seniors. I will be posting a recap with pictures on Wednesday. I am expecting a phenomenon turnout… Pray for me! !